Meal planning does't need to be time consuming or difficult - when done correctly it can save you time. Unlike the normal foods to eat, foods to avoid scenario a meal planning personal trainer can actually help you make better food choices and plan your meals around your schedule and lifetstyle – including eating out in the UAE. An Abu Dhabi personal trainer and nutrition expert provides some great tips and information about how to effectively incorporate meal planning into your (and your families) daily lives. Many personal training and health and fitness regimes in the UAE often call for a change to diet and nutrition. As a meal planning specialist in Abu Dhabi how do you initially access a client’s meal planning needs? The first step with a personal training client should always be to assess where they currently are. Most people will require some element of change in order to create the required response from their body – however what you don’t want is for the change to be too drastic, as that in itself can harm consistency further down the line. I always request a Food Diary from client’s that covers at least 2 weekdays and the entire weekend. You would be amazed at the amount of difference there can be in a client’s calorie intake from a Wednesday to a Friday. And highlighting where people have room for improvement is very important. Once we have an overview of their typical diet, we can then work out the amount of calories they are consuming. We can then use this figure as a baseline and start working from it. Some will need it reducing if they are in search of weight loss, others may need an increase if they are hoping to build and increase their size and muscle mass or are in an intensive training regime. Some personal trainers in the UAE will provide basic nutrition and diet advice – what foods can be eaten, what foods to avoid. How does meal planning differ from this? Meal planning is far more than just a list of ‘good foods and bad foods’. Meal planning requires you to dig deep into what the client really wants to achieve from their Personal Training, and then realistically matching that up with their current lifestyle. 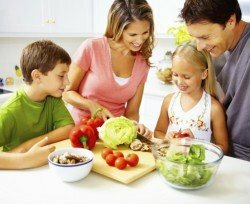 It’s very easy for me to write the ‘perfect diet’ for all my clients – but that typically is the diet which can’t be followed as it’s too restrictive, doesn’t have enough variation, impedes into their family life, doesn’t provide enough energy for them to train and generally annoys the hell out of them. Meal planning incorporates all of those factors and is about appreciating them, not ignoring them. True meal planning, allows the clients to achieve their goals, and at the same time having a life. Meal (and menu) plans are great for people in Abu Dhabi and Dubai who are short on time but some people might think these become monotonous in the longer term. When meal planning for specific fitness does the client need to stick to the plan or can they change it up occasionally? If you’ve got the right meal plan, you shouldn’t need to alter it too often. And when I say the ‘right meal plan’, I mean one, which will allow you flexibility around your lifestyle. One which incorporates going out for dinner, doing brunch on a Friday, having drinks with friends or enjoying something sweet in the evening whilst watching a box set. The correct plan for you should incorporate multiple nutritional strategies in order to achieve this flexibility. 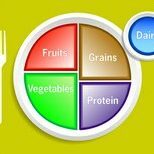 As a personal trainer who also provides meal planning what are the best methods for you to ensure your client are following their meal and diet plans? Obviously the client needs to be accountable but do you use any other methods? The simplest way to ensure someone follows a meal plan you write for them is to design it with them. As I mentioned earlier, it’s very easy to write the ‘perfect plan’ for all of our clients – but what is the point if none of the clients can follow it. Typical ‘perfect plans’ tend to be restrictive, boring, monotonous and leave people unsatisfied – this then leads to breaking the plan or ‘cheating’ on it. In my opinion we are far better to design something, which the client looks at and see’s as being easy – rather than difficult. Embedding good solid habits to begin with which later lead to longer term permanent results. More and more parents in the UAE are looking for healthy meal planning for their families – quick, easy but nutritionally balanced complete meals. What advice can you give to parents who are thinking about meal planning on a regular basis. Firstly it’s a great idea. I have 2 small children of my own and their health, energy and vitality is directly related to what we put into their mouths. I enjoy cooking and experimenting in the kitchen, so for me I love to get the kids involved in what I’m doing – helping chop, peel, measure etc Ensuring they know exactly what goes into the food, and tasting along the way. The other option we have used in the past is to have all our meals delivered to us on a weekly basis. A meal preparation company can design/cook and send your food directly to you, so if time is an issue like it is with most families – rather than reaching for the takeaway menu every evening, all your food will be waiting at home for you. I use a company called Pura for all my meal preparation needs. This Q&A will be followed by more in-depth meal planning topics but for the time being what are your top 5 tips for anyone looking for advice and support when it comes to meal planning as part of a health and fitness regime? Plan something that you can actually see yourself achieving. You don’t need as much food as you think you do. Quality over quantity. Finding the right personal trainer, sports or fitness coach in the UAE is the first step towards leading a healthier lifestyle. Trainers who are also nutrition experts can help you maintain your healthy eating habits by assisting you in creating meal plans for yourself and your family.